“Flexible” ultrathin back plate: You can easily put your knees under the chair comfortably. You do not have to worry about a hard metal backplate. 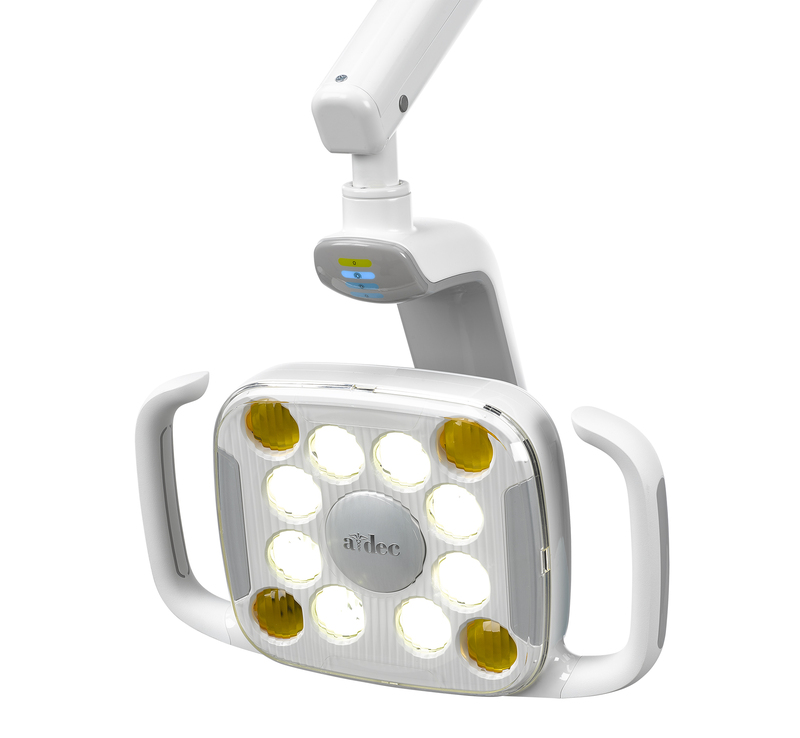 It supports the patient comfortably, and depending on the location it features a thin lying area of less than 25 mm (1 inch). 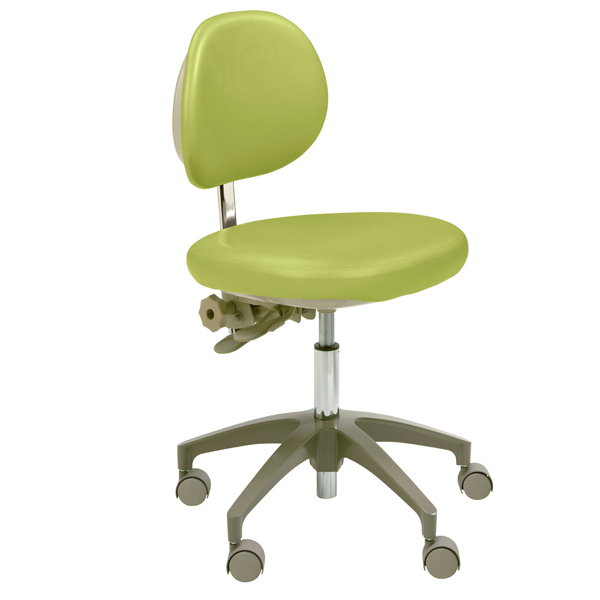 Moveable glide headrest: It improves comfort because it links with patient movement. It can be easily adjusted with one hand. Innovative Hydraulic Lift System: When setting patient’s position, relieve the impact of stop and movement start. Built-in 300 W power supply: Supplies power to the whole system more than enough. Supplies lights and additional auxiliary equipment. Expanding the range of height: Since it corresponds to the range from 343 mm (13.5 inch) to 800 mm (31.5 in), all doctors can work comfortably regardless of height. With brake with 60 degrees turn: It is possible to rotate 30 degrees in both directions from the center. Arm rest that can be set to multiple positions: It can rotate to a position not to disturb the patient’s entry and exit. 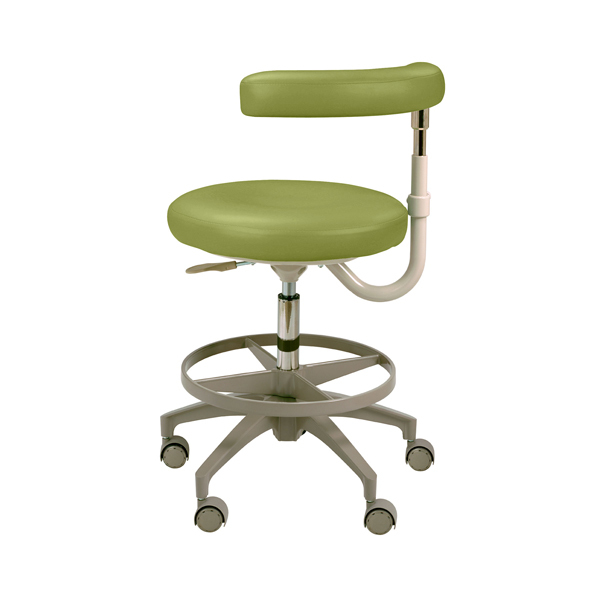 Cut iron type base plate: It is possible to rotate the stools and approach the patient. Because there are six contacts, stability improves even on non-flat floor surfaces. The Adec 542 makes a great choice for those who prefer side delivery. 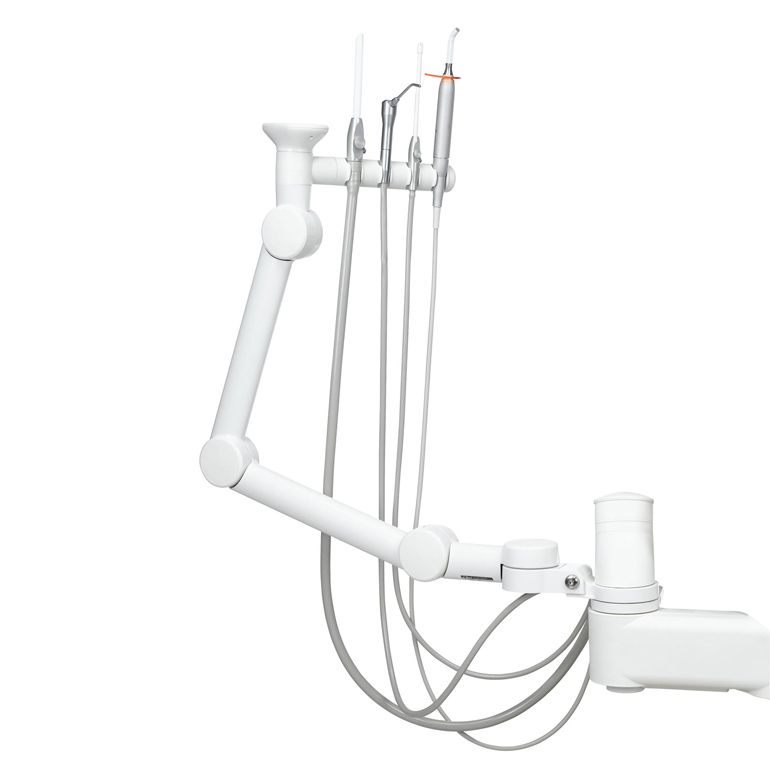 In addition to a heavy-duty flex arm with air brake for smooth positioning and stability, the 542 includes lots of room inside to add ancillaries like electric motors, intraoral cameras, and scalers—so you can integrate precisely what you need in the dental operatory, right at chairside. 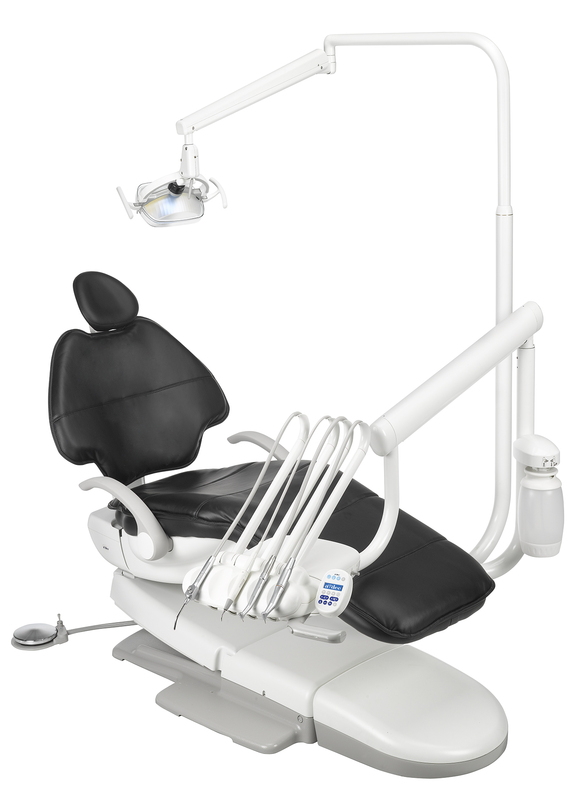 The A-dec 541 allows you to integrate all the dynamic instruments you need at 12 o’clock. And with the added flexibility of placing them precisely where you want them, you’ll also be able to improve ergonomics and maximize efficiency. The long assistant’s arm option for Adec 500 uses five adjustable pivot points to articulate both vertically and horizontally which includes rotating instrument holders that pivot independently and offer a number of different configurations. 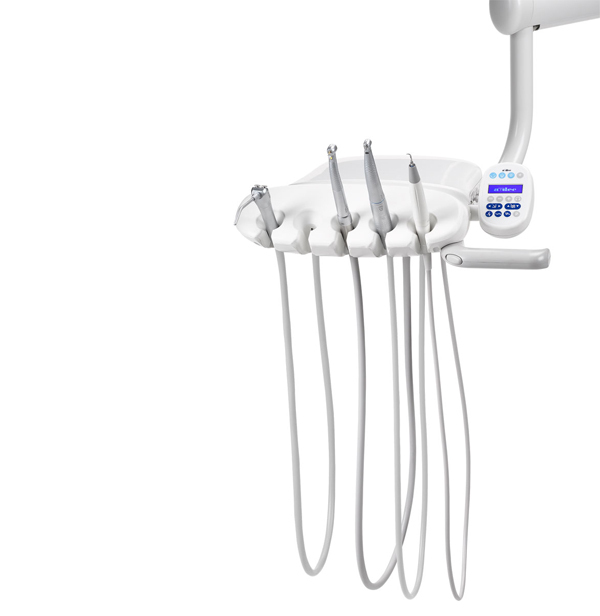 The result is an exceptional range of motion and practically unlimited positioning for vacuum instruments, syringe, and integrated accessories like a curing light. 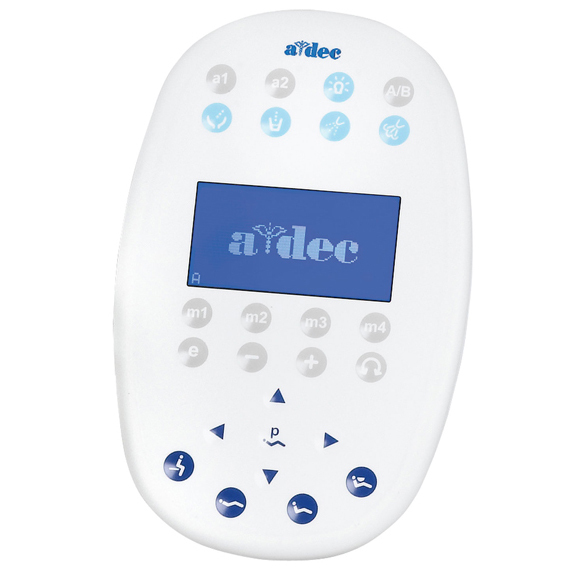 Adec 500 offers two types of touchpads. The deluxe touchpad is an excellent way to expand functionality while streamlining operations. In addition to providing one touch surface for chair, dental light, and cuspidor functions, it also serves as a convenient command centre for controlling your handpieces, integrated accessories, and a number of other electrical devices (may require Adec relay modules). 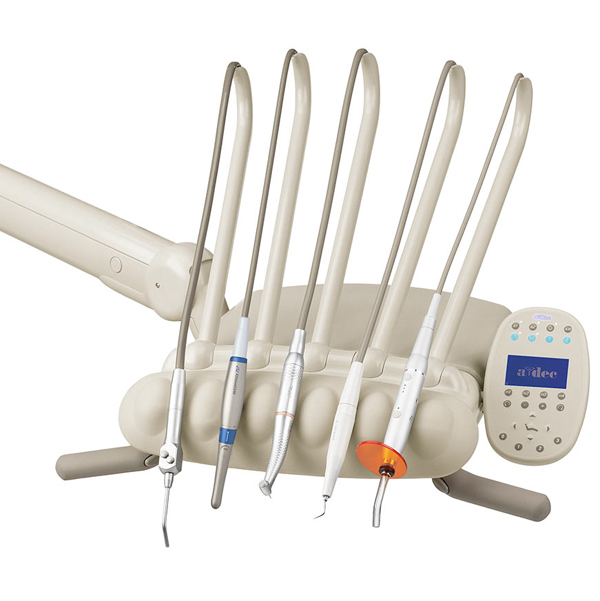 It also offers endo-mode functionality, as well as independent programming for two operators. 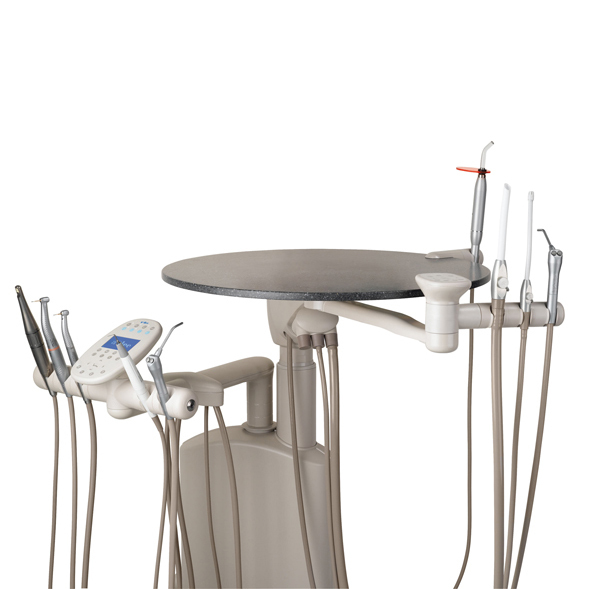 Sydney Dental Supplies Sydney. 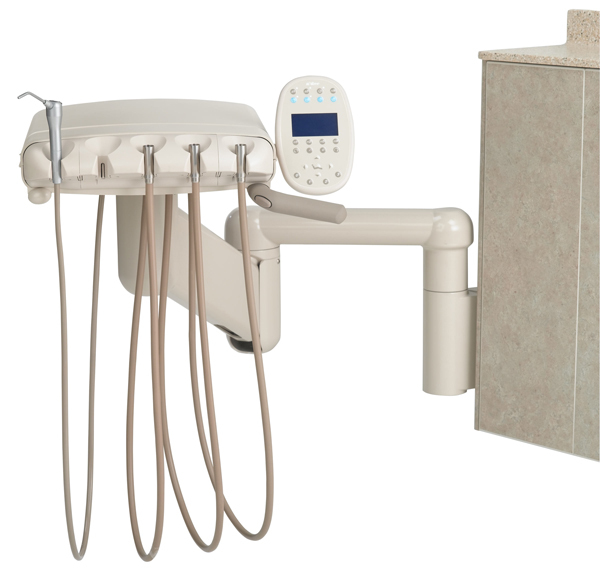 Dental Installations dentist equipment Sydney.